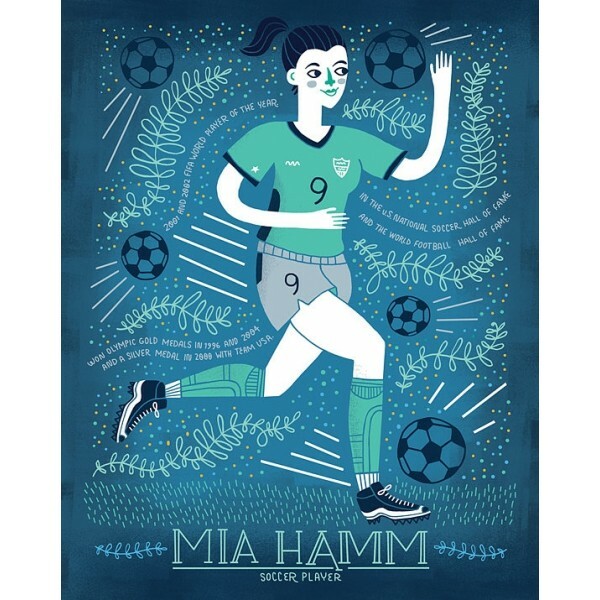 To complement her illustrated biography Women in Sports, author / illustrator Rachel Ignotofsky has released posters honoring female athletes — including this one featuring Mia Hamm, a world famous soccer player, two time Olympian and FIFA Women's World Cup champion. 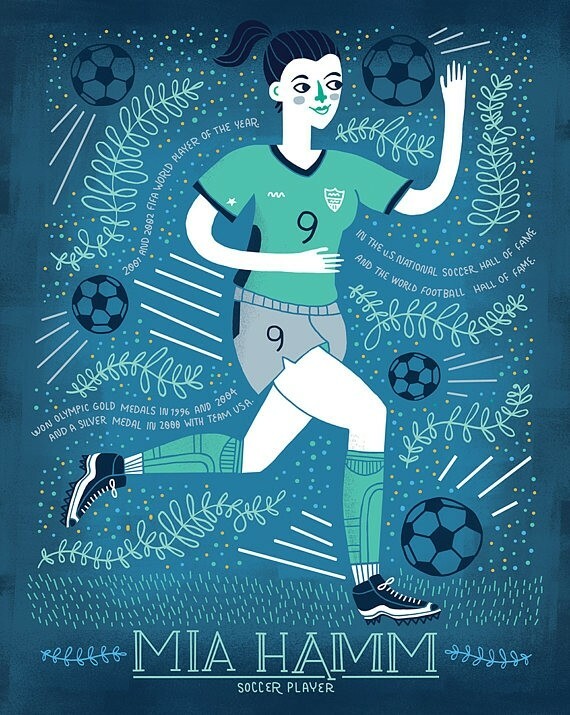 She is also one of the founders of Women's United Soccer Association. This poster is available in 8X10 and 11X14 sizes and is printed on high-quality paper with archival inks. For more of Ignotofsky's work, visit our Rachel Ignotofsky Collection.